Horsepower Logic had a chance to install and tune a Cobb AccessPORT on a 2012 Nissan GT-R. The software is currently in ALPHA testing, and they are finalizing a few things in the tune. The baseline numbers on the Mustang dyno came in at 475 wheel horsepower and 408 ft/lb of torque to the wheels. 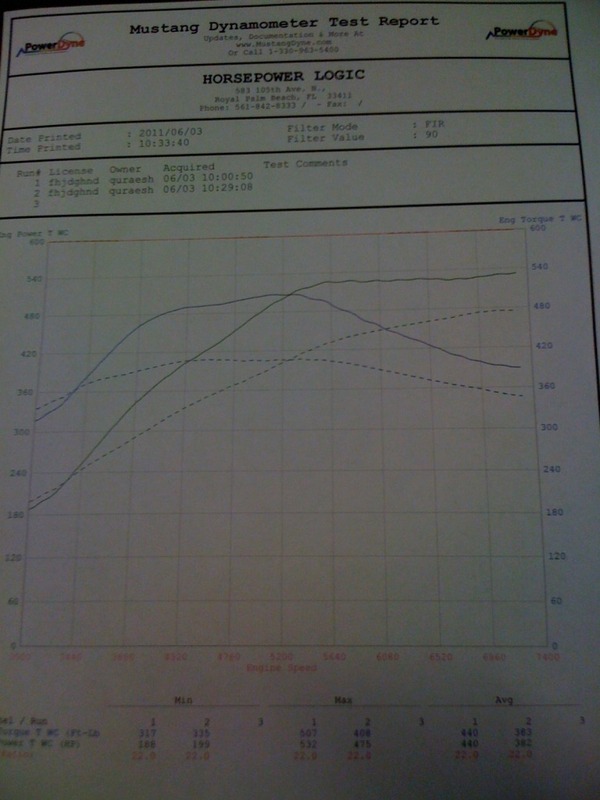 After the tune, the horsepower saw an increase to 532 whp, and the torque saw a huge increase to 507 ft/lb. The plan is to run the car at the dragstrip tonight in Florida. We will post some updates on times when we get them. The current guesses are around 10.7@128 mph. See how it is good to wait? 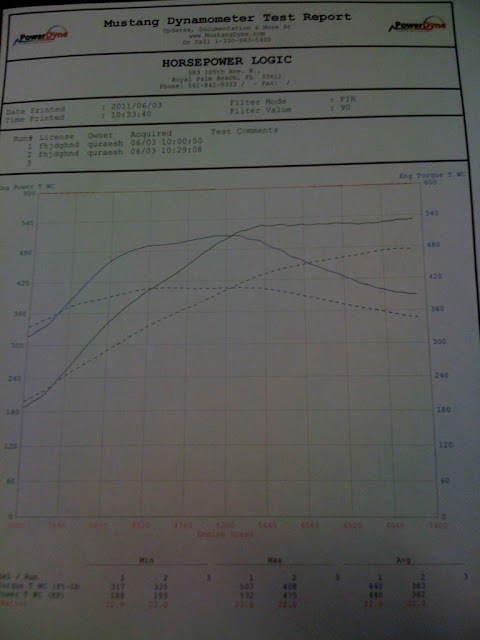 A 2013 560 hp car with tune/exhaust/race gas alone might hit 9s!